On this week's episode of the "Sponsored" podcast, the last of season one, host Mike Powell interviews Rory Silva. If you've been regularly listening to "Sponsored," Silva's name is one that has frequently come up. He was among the top echelon of skiers before a lack of business skills caught up with him. The type 1 diabetic and Mammoth native is now living in Southern Oregon, where he was fulfilling DUI obligations. 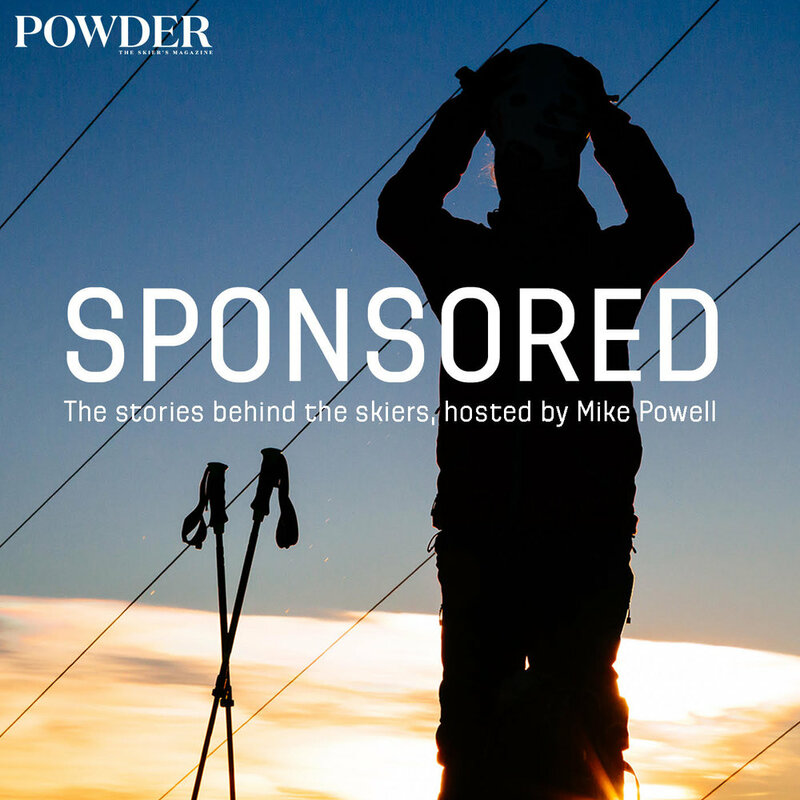 On this episode of the “Sponsored” podcast, legendary skier Mike Hattrup joins host Mike Powell. Hattrup was one of the most influential skiers of the late ’80s and ’90s, starring in Greg Stump films like Blizzard of Aahhh’s alongside Glen Plake and Scot Schmidt and became a major influencer for many years for K2 Skis. On this episode of the "Sponsored" podcast, Canadian Olympian Matt Margetts joins host Mike Powell. After years pursuing halfpipe competitions, Margetts has joined childhood friends including Riley Leboe, Joe Schuster, and Mike Henitiuk in filming "Seeking Nirvana." The award winning video series—last year it won Best Editing at the 2016 Powder Awards—is a whimsical tribute to creative filming and fun, stylish powder skiing. On this episode of the "Sponsored" podcast, Kim Reichhelm, one of the original badasses of freesking, joins host Mike Powell. Reicchelm is candid about her upbringing with a stern father and her current rock and roll lifestyle. The veteran ski racer, commentator, two-time World Extreme Ski Champion, and the figurehead of the highly successful "Ski With Kim" camps, Reichhelm discusses how she was made fun of at school, but found herself through sports. On this episode of the "Sponsored" podcast, Colston VB talks to host Mike Powell about the struggle to make it as a professional skier. The two discuss Vb's role on Bravo's reality TV show, Timber Creek Lodge, which he was conflicted about appearing on.